TUESDAY, WEDNESDAY, THURSDAY-9:00 a.m.-3:00 p.m.
UAW/GM Benefit Rep. at Local 95 - Wednesdays 8:30 a.m.-1:00 p.m.
SPRING ELECTIONS: TUESDAY, APRIL 2ND. DO YOUR PART....GET OUT TO VOTE! NOTICE: We recently sent out a letter to our Wisconsin & Illinois retirees regarding an asbestos exposure screening to be held at our UAW Local 95 Hall on April 9th, 10th and 11th. APPOINTMENTS ARE BEING TAKEN BY CALLING A TOLL FREE NUMBER. UNFORTUNATELY, WE HAVE FOUND THAT MANY OF OUR RETIREES HAVE MOVED AND NOT CHANGED THEIR ADDRESS WITH US HERE AT LOCAL 95. If you didn't receive the letter please check with us to be sure we have your correct address on file here and with the International Union. This Sunday, April 7th our Boy Scout Troop 595 will be serving up delicious all you can eat pancakes, sausage and drink for a mere $5.00. Serving from 7 a.m. until 12 noon. You don't want to miss this great fundraiser for the Troops! Mark this day on your calendar!! ***OUR RETIREE DAY THIS MONTH: Mark your calendar for the Local 95 Retiree Chapter Meeting on Thursday, March 28th 10 a.m. until 4 p.m. Bring a dish to pass and your own table service. Mingle in the morning, 12 noon we'll have lunch, 1 p.m. our meeting. Then enjoy either BINGO or cards. GREAT door prizes. THE 2019 UAW LOCAL 95 RETIREE PICNIC IN ARIZONA ~~~ was held on Thurs., March 7th and what a HIT!! PLAN TO JOIN THIS GROUP NEXT YEAR - LET'S KEEP GROWING! Well, look no further. Local 95 has openings in 2019 and OPENING 2020 SOON. 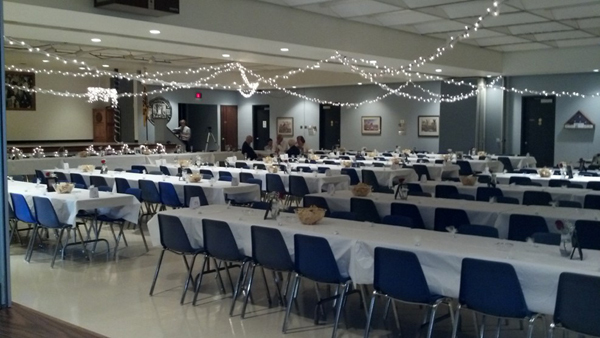 Call (608) 755-5120, ext.111 to get Hall Rental details and book your event. 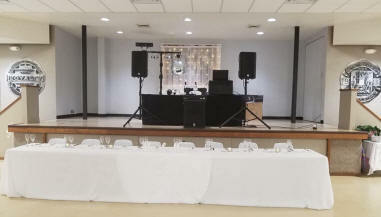 Our facility offers: a great location (easy access from Hwy 51 South and I-90), ample parking, non-smoking facility, handicap accessible, spacious dance floor, a wonderful kitchen for your licensed caterer and we are staffed with friendly and helpful janitor, bartenders and security. Whether a small group of 100 or a large group of 280...our facility is a perfect fit. 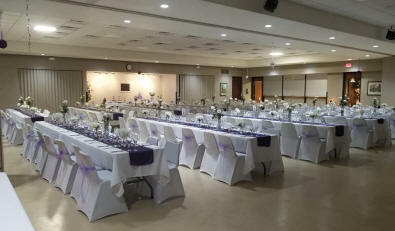 Hall Set-up: 8' banquet tables (seats 8 to a table), stage which accommodates a band or DJ, main entrance which has great greeting area, separate coat room and a wonderful large oak table in the Hall, which has been used for gifts and/or photo displays. We are happy to be able to offer discounts to our UAW members and to Union members. 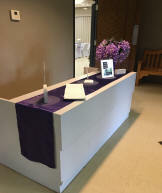 We, also do rentals to the public at a very reasonable rate. Call and check us out. BENEFIT REP MIKE FEIRN'S UPCOMING HOURS AT LOCAL 95:. We all know, that things can come up that might change the above schedule, so if you are traveling some distance, please call the Local 95 Office 608-755-5120 and listen to the recording. If Mike won't be in, we will have it on the recording and on our webpage. In Remembrance Update to February 2019: Each month at our General Membership Meeting we read the names of Local 95 members who have passed away. We ring the bell to honor them as a friend and a family member of our Local. We have been asked many times to share these names on our website, and are in the process of setting this up. In the mean time, we are attaching the names of those we have reported out at this year's monthly meetings. CHECK OUT OUR HALL RENTALS AT LOCAL 95 . . .
To open your case with the New Legal, you must first call 1 -800-482-7700. If you need to call the Legal Service facility located in Local 95, call 608-755-1566. 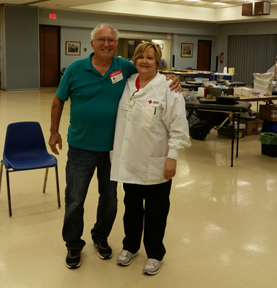 Regular hours are 8:30 a.m. until 1 p.m. on Wednesdays at UAW Local 95. Please feel free to call our Local 95 Office to hear if there are any changes in Mike Feirn's schedule....because sometimes, things come up!! You can NOW open your new case using the UAW-FCA-Ford-General Motors Legal Services Plan...called "Plan". To start your new case call this toll-free number: 800-482-7700. It's important to take this first step to open your case and let the Plan know that there are many in this area that will be using this benefit. Leaving NO Veteran behind! The Rock County Regional Veterans Treatment Court meets twice a month on Thursday afternoons at 3 p.m. in Courtroom D at the Rock County Courthouse, 51 S Main Street in Janesville. The objective of the court is to give veterans who faithfully served their country a second chance by offering them treatment for their substance abuse and/or mental health issues rather than incarceration. This is done under intensive supervision of the Veterans Court team. For more information, contact the Rock County Veteran Service Officer (John Solis) at 608-757-5551 or VA Justice Outreach Social Worker (Edward Zapala) at 608-320-2095. Mail, email or drop off the application at your Union Hall and we will forward it to the International Union Retired Worker's Department. They will process your application and mail our card back to your Local Union. Once we receive your Service Card, we will contact you for you to pick it up. ANYONE CAN JOIN OUR UAW LOCAL 95 VETERAN'S COMMITTEE. WE WOULD WELCOME NEW MEMBERS!! CALL THE UNION HALL FOR MORE INFORMATION, 608-755-5120, EXT 111. 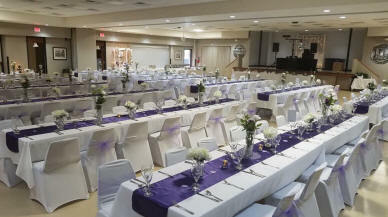 HALL RENTALS: We want to remind everyone...we have opened up 2019 for the rental of our Union Hall. We have "special rates" for our UAW members and "Other Union" members and a very reasonable rate for those not union affiliated. Call us at 608-755-5120, ext. 111. 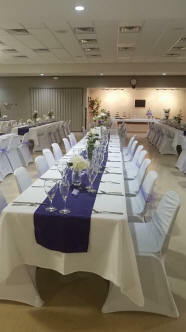 Looking for your Perfect Reception Hall? 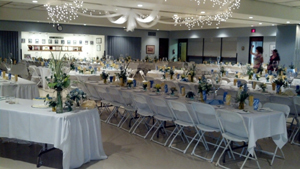 : Just imagine, you could be holding YOUR wedding reception in this beautiful Hall. Call 608-755-5120 ext. 111 to get more information. Special rates for our UAW Local 95 members and their immediate family. Start your plans with a call to us! 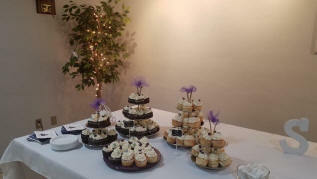 WE CAN MAKE YOUR DAY SPECIAL! Acceptances: Tuesday, May 12th from 8:00 a.m. until 7:30 p.m. Elections: Tuesday, May 19th from 8:a.m. until 7:30 p.m.
28th from 8:00 a.m. until 7:30 p.m.